LEGEND has it there is a mystical land not too far from our shores that has endless dry stone walls, rolling green countryside and more hills than you could ever possibly hope to climb in your lifetime. Journeying to this far-off place, you must first scale the mountainous divide of the Pennines and then tame wee hairy beasties know as ‘terrors’ – or maybe that’s ‘terriers’ – and suffer a dozen lashes with stinging nettles on your nether regions to prove you are indeed tough enough to enter the age-old land of ‘Yorkshire’. Old club racers have been telling us tales about actually racing against people from clubs based in far flung places ending in ‘y’ such as Otley, Ilkley, Selby and er.. Leeds. 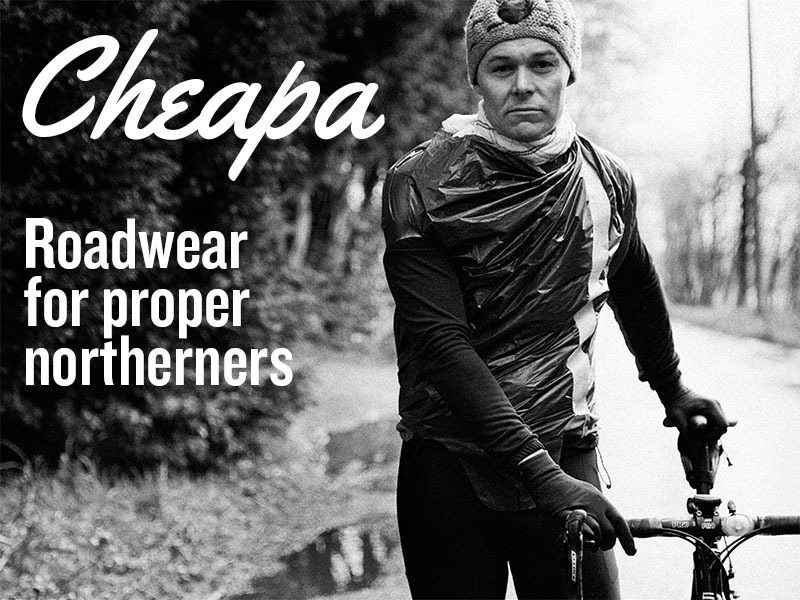 Some have even been there and returned – hollow-eyed and gibbering about hidden Northern towns nestled in brooding hills with their own hardened cycle clubs. Towns and villages with streets so steep granny cogs were used by actual grannies who thought nothing of pedalling a 20 per cent hill to get t’Lidl. With this in mind, we decided to find out for ourselves. Scouts were dispatched. Some never returned. Eventually messages were swapped between club elders and gifts of beads exchanged for glimpses of exotic club jerseys. OK, we may have made a fair bit of that up, but we didn’t believe that a place with no flat whatsoever could possibly exist either. So out we popped over the hills and far away to find out what made Yorkshire such tough cycling territory that the pros fell in love with it during last year’s Tour de France. 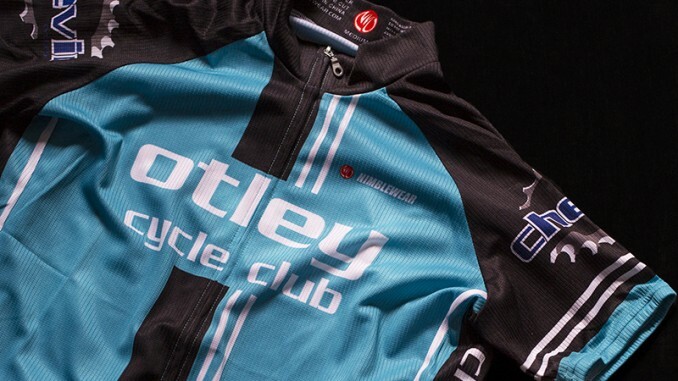 OTLEY is one of Yorkshire’s biggest and oldest cycle clubs, having been founded way back in 1927. With its own clubrooms in the heart of the town on Crow Lane, membership is growing rapidly and currently stands at a whopping 240 members with a staggering 50 per cent of them being women. Regardless of whether you are new to cycling or a seasoned rider, Otley offer something to interest all levels of fitness – both on and off-road. Not only does the club host various runs, including both ‘A’ and ‘B’ groups, but it also cater for those who just want to enjoy the scenery in the form of social rides, as well as parent and child groups. Many generations have been introduced to the wonders of two wheels courtesy of Otley Cycle Club. Cycling, as a pastime and sport, really began to evolve in the late 1800’s due to the town’s geographical location just 10-miles from the large conurbations of Leeds and Bradford, as well as on the edge of the Yorkshire Dales. 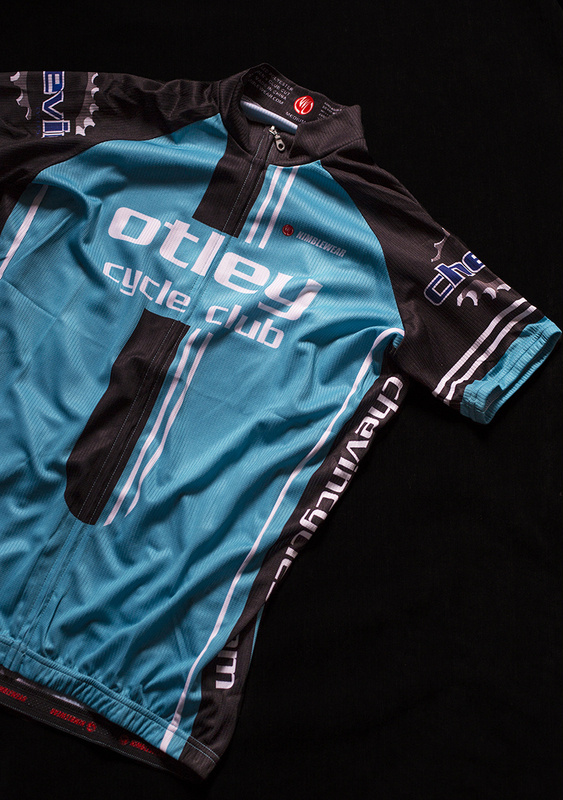 The first cycle club in Otley dates back to 1890 with the formation of Otley Road Club. Like all early cycling clubs, the initial focus was predominately the social side and, at this time, organised sport was very limited. Otley Road Club staged the first-ever running of the now weekly summer time-trial – known as the Triangle – way back in 1892, when the 12.5-mile course was won by Harry Fieldhouse riding the first pneumatic tyred machine. By 1909 – perhaps due to the lack of competition or even the development of other clubs – Otley Road Club evolved into a purely social institution and disbanded as a cycle club. Then in 1924, another cycle club took up the name. Mr Tom Edmunson was elected as president, but the club again sadly folded a few years later due to a financial setback. 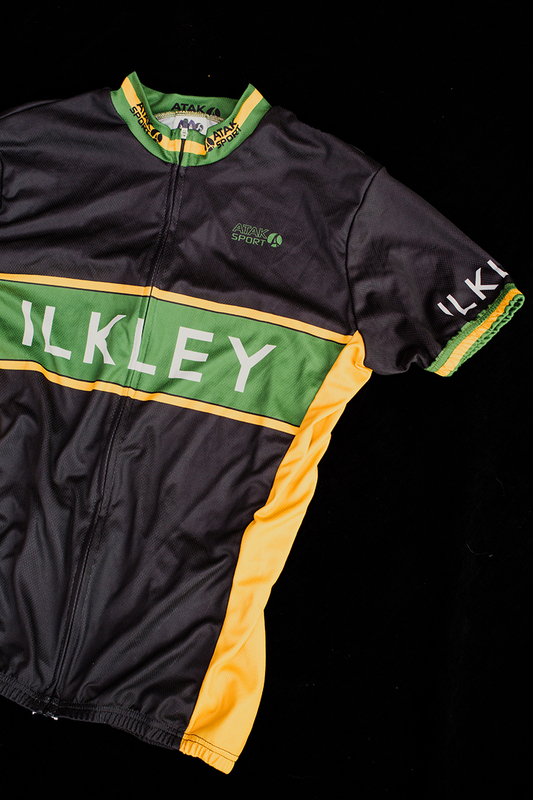 WHAT a year for Ilkley Cycling Club – the club is still buzzing after welcoming the Tour de France and Le Grand Depart to its special corner of Yorkshire during 2014. Ilkley is a thriving spa town on the 2014 TDF route and hosted a week-long festival of cycling celebration to mark the occasion in July. Established in 1896, the club was eventually disbanded before being reformed in 2011 under the fanfare of the brilliantly gruelling White Rose Classic – an ultra-tough 115-mile sportive that takes participants through some of the most spectacular scenery on offer in Yorkshire. Tour de France fever aside, Ilkley Cycling Club has a very successful youth development programme and actively encourages more women to take up the sport with regular rides on Sunday and Thursday. Not to be outdone by other clubs in the region, Ikley also stage monthly ‘family rides’, where it encourage mums and dads to join their children for a leisurely ride through parts of Yorkshire. Even more impressive is the fact that the club boasts a membership of 1,200 – that means one in eight people in or around the town are members of the club. Imagine trying to squeeze all them in for an annual club dinner. Yikes. 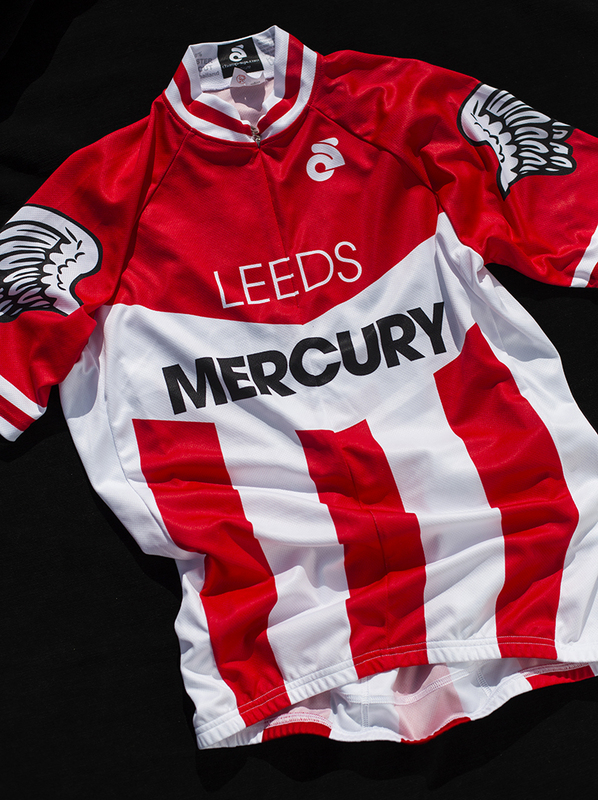 LEEDS Mercury Cycling Club is a friendly and sociable club, which aims to increase individual and family participation in all forms of cycling. Boasting a Go-Ride accredited section, the Mercury run a Saturday skills club for youngsters and evening training sessions for adults. The club also encourage club participation in all local cycling activities, whether including local cyclo-cross events the Roundhay Vertex Ride Grass Track League. DESPITE being dubbed the ‘Gateway to the Dales’, Skipton did not have a cycling club of its own – well, at least not until June 2012, when a group of local cyclists gathered in the Narrowboat pub to form Skipton Cycling Club. Right at the top of this new club’s agenda was the word ‘inclusive’. From the beginning, the founder members were adamant that the club would have a place for a range of abilities, from those starting out in the sport to seasoned riders wanting to race in club colours. Central to this was making sure women cyclists were fully represented in the club and focus was equally fixed on developing young riders – this definitely was not going to be a club for your typical middle-aged men in Lycra. Apparently, the name Skipton Cycling Club narrowly won out over Skipton Wheelers. Just as well, as soon after the club was formed, it was contacted by Eric Walker – a member of the original Skipton Cycling Club. Unbeknownst to the founders of the new club, the original Skipton CC had been a strong club, with many good riders, but had gradually dwindled with only a few older members remaining. Thanks to Eric getting in touch, the two clubs were quickly amalgamated and overnight the founding date went from 2012 to 1936. 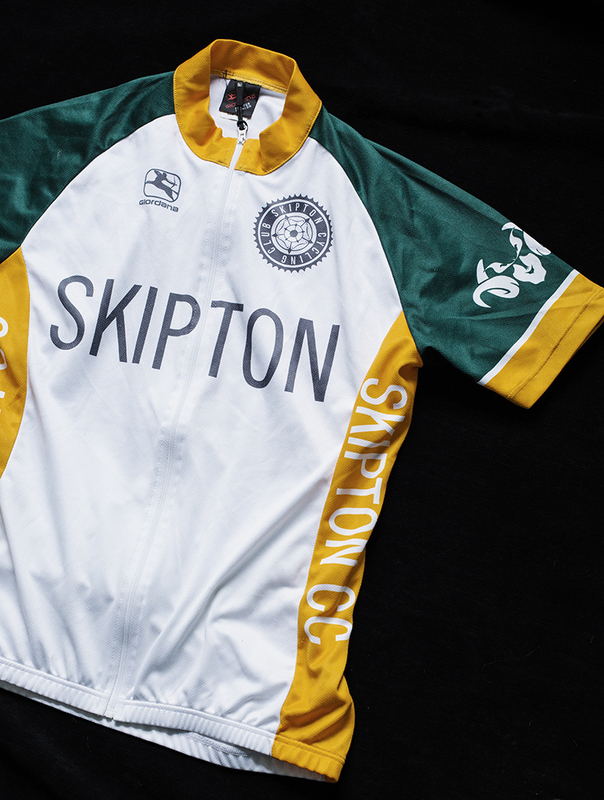 In tribute to the original club, the decision was taken to retain the old colours of yellow and green in the new kit design, as well as making the original club members into life members of the new Skipton Cycling Club. Within a year, the club has grown rapidly and now boasts a membership exceeding 130. Many of the regular rides attract upwards of 30 riders and there is a social side too, with cafe stops during and after rides – plus regular club nights in the Narrowboat pub on the second Wednesday of the month.